Google Analytics/Tag Manager will not extract data until explicitly told. This is by design, so the question of Google stealing data is nulled. Tracking is a important exercise to improve the user experience. But none the less, loading external resources (though through https) is serious security concern. Google Analytics doesn't track any things you fill on a form or text fields. The article gives no proof of the same as well, just a wild blind accusation to get some hits ! There is no proof that Google will 'not' steal username passwords either. Nor is there any proof that the scripts are not told to extract data/information from the users' activities. The bottomline is, in a contract between the bank and the customer, if the bank allows any third party access to the secured sites, all liabilities of any fraudulent transaction or loss arising out of those should fall on the bank. Does it happen so in our legal system? ICICI Bank would like to state that this article is ill founded and not based on facts. The Bank would like to strongly deny that Google or any third party tool can access any confidential customer level information from its website. 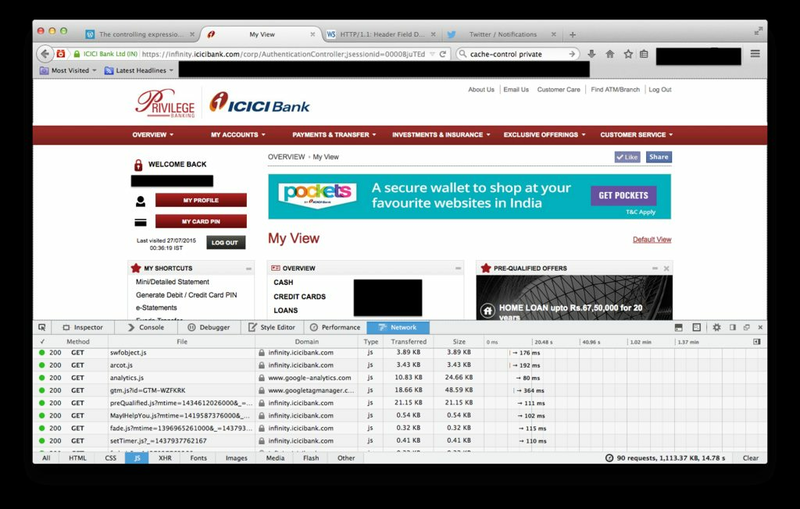 ICICI Bank is in complete control over all points of access to customer data. As a standard global practice, banks across the world use Google Analytics Premium services to understand generic behaviour of the users such as navigation patterns, browser types and page speeds among other things. ICICI Bank would like to re-iterate that it operates with world class standards of information security and that our customer’s privacy is of utmost importance to us. 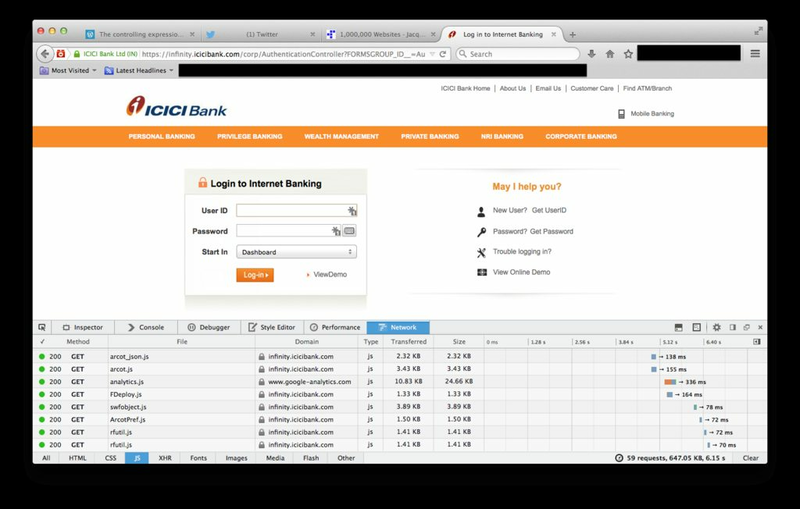 @ICICI Bank, do you even understand JS? The article doesn't say that Google does this at the moment, ring up your web devs and ask them, if Google were to make changes to their script, could they do all that is mentioned in the blog, of course they can! Most replies undermining the severity of this issue seem to be people who know nothing about security issues! I mean just read the bank's reply, sounds like a mugged up piece of text vomited out by some PR guy.